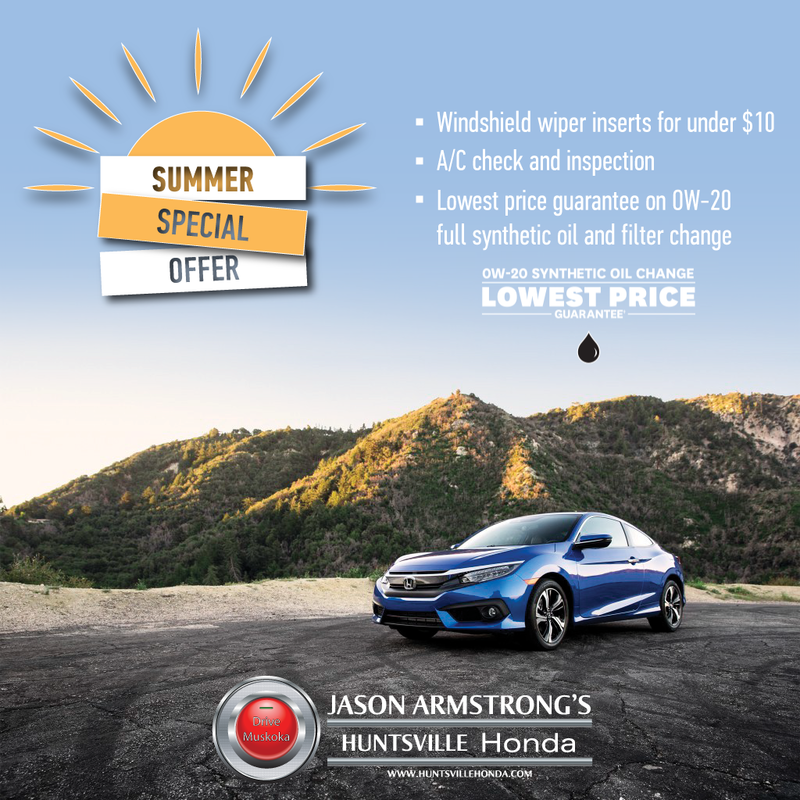 Jason Armstrong’s Huntsville Honda is your source for Honda replacement and performance parts in Muskoka. On top of our competitive every day prices we also have regular specials and discounts on our OEM parts and accessories. You can find sales coupons on everything from apparel to our Huntsville High Performance (HPP) parts selection. Check back here for the latest deals.